Some of the best Father’s Day gifts are those that are sneakily made at home while dad is unaware. It’s these kinds of personalised, made-just-for-dad gifts that pack the biggest of surprises, with children bursting with pride at their own clever handiwork – and rightfully so! We’ve done the hard yards for you, scouring Pinterest and the internet all over for awesome gift ideas to make with the kids. Click on through to see what we’ve found. For dads that regularly wear a tie (or even if they don’t – now is the time to start!) the Button Bow Tie is especially funky. Head on over to Morning Creativity to see just how it’s done! 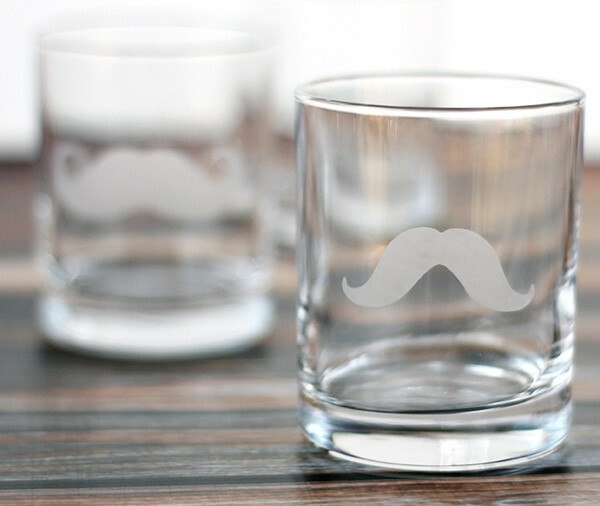 Make dad a rather dashing Moustache Glass using a glass etching cream. No. 2 Pencil blog has a great tutorial to follow and glass etching supplies can be sourced online or from a local art store. 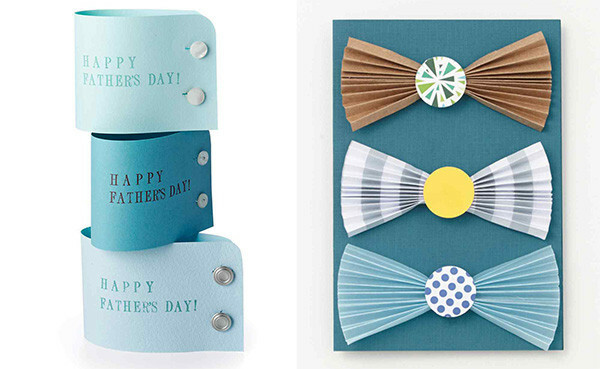 Martha Stewart is the queen of cards, she has two easy to achieve Father’s Day cards here, the Shirt-Cuff card and the Bow Tie card. A super easy, super quick project is the Chalkboard Mug. Darby Smart shows just how you can make your own in a few simple steps. 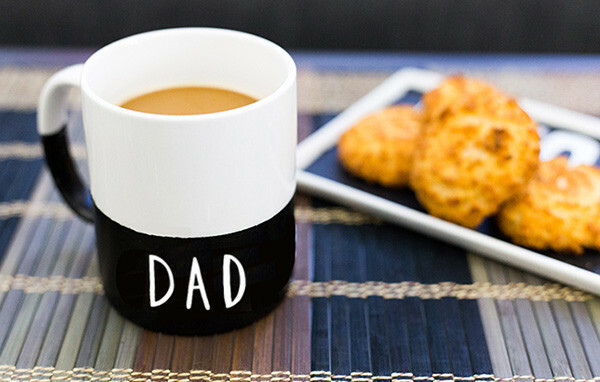 Buy a mug for each child to write or draw their own personalised message for dad. Bookworm dads will always appreciate a nice clean bookmark. 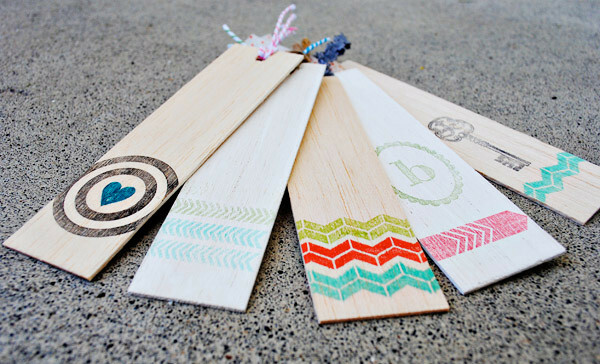 These Hand Stamped Wooden Bookmarks from The Shabby Creek Cottage are both beautiful and long lasting – don’t panic if you don’t have ink pads or stamps, cut a stamp from a potato and use paint. Have kids obsessed with boxes? 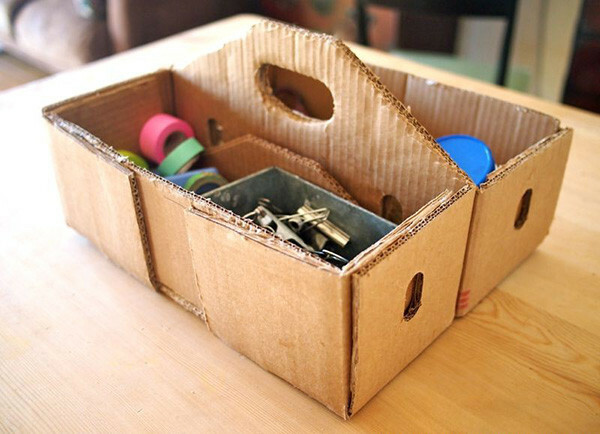 Finally you can put them to use with this clever Cardboard Toolbox tutorial from The Cardboard Collective. A fab caddy for all of dad’s things, let the kids decorate or paint the final product and fill it with dad’s favourite snack foods and a DVD. 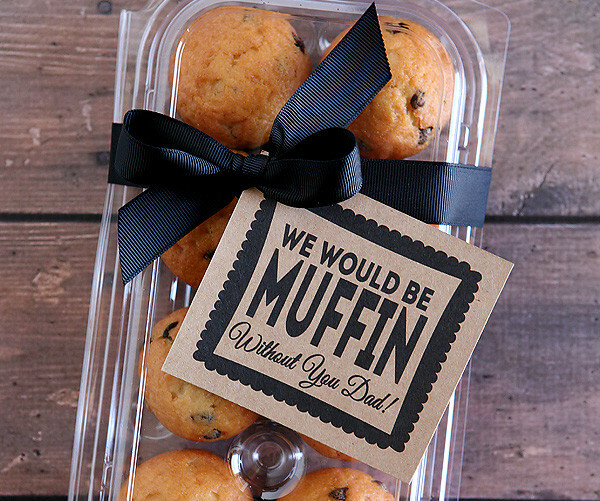 If dad has to work Father’s Day, be sure to pack him off with a morning tea muffin snack for the whole office, and because it’s the day for it, an added pun fuelled tag is the perfect choice to tizzy it up. You can download it here at one of my favourite blogs, Eighteen25. 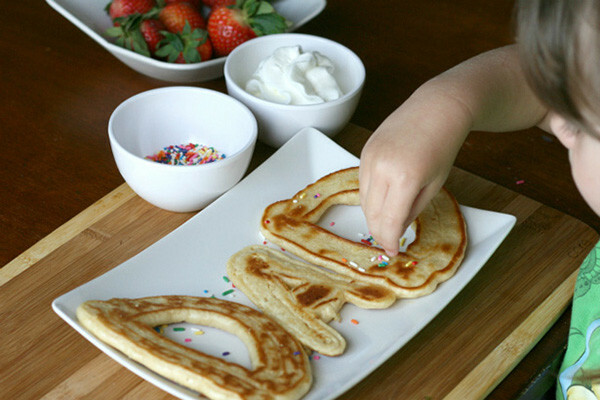 All dads need a good breakfast to start the day and I love the idea of personalised pancakes, as seen here at Betty Crocker. No fancy pancake pen is required, fill an empty squeeze bottle (make sure it’s clean!) with your pancake batter and go to town creating awesome pancake artistry for the man himself. 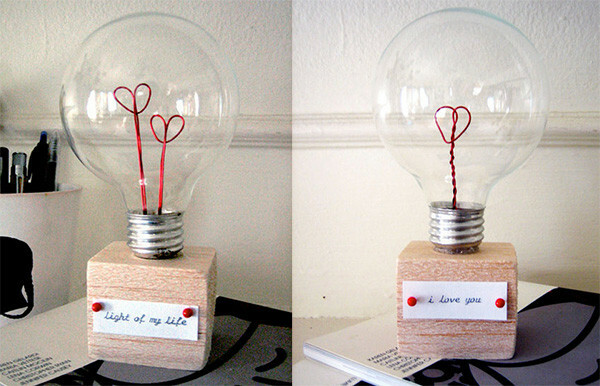 Perhaps my favourite project and one that lends itself to all gift giving occasions and holidays, this lightbulb project created by Design Sponge would make a sentimental and sweet paper weight in dad’s office. 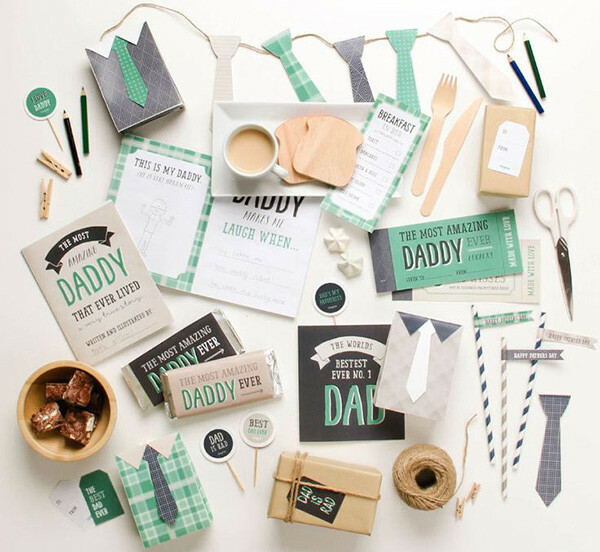 Printables are always an excellent way to put a Father’s Day stamp on just about everything. The awesome Tinyme crew has all of this paper goodness available for free download. Yes, free! Breakfast menus, coupon books, buntings, candy wrappers and gift bags are just some of the things available to create, just be sure to stock up on ink and paper before pressing the print button!